A backsplash is one of the first things that interior designers suggest for a kitchen remodel. Not only do they help protect the walls over the working area but it also is a way to add some color to your kitchen. Backsplashes have been in fashion for over a decade now. It all started with colorful backsplashes with vegetable and fruit graphics. The trends have now evolved to more minimalistic ones. The perfect combination would be something contemporary with a mixture of traditional choices. Below we talk about a few trends one will be able to see in the coming year. Summary: Backsplashes are the perfect choice for a kitchen remodel. 2018 has brought in various trends and looks that homeowners and designers are opting for. 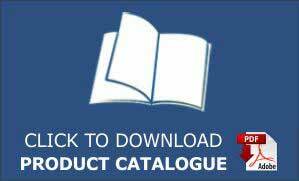 These include random pattern tiles, white ceramic wall tiles, subway tiles and much more. What all of these have in common is an authentic, classy look with a contemporary finish. It is the perfect blend of traditional styles and modern choices. Minimalistic choices don’t have to be boring, yet they can be something that make people’s head turn. Many homeowners are experimenting with random pattern tiles, making it the number one trend to look out for. Backsplashes are no more just a protective and easy to clean surface, they are a piece of art. Mosaic tiles are one of the hottest upcoming trends for this year. 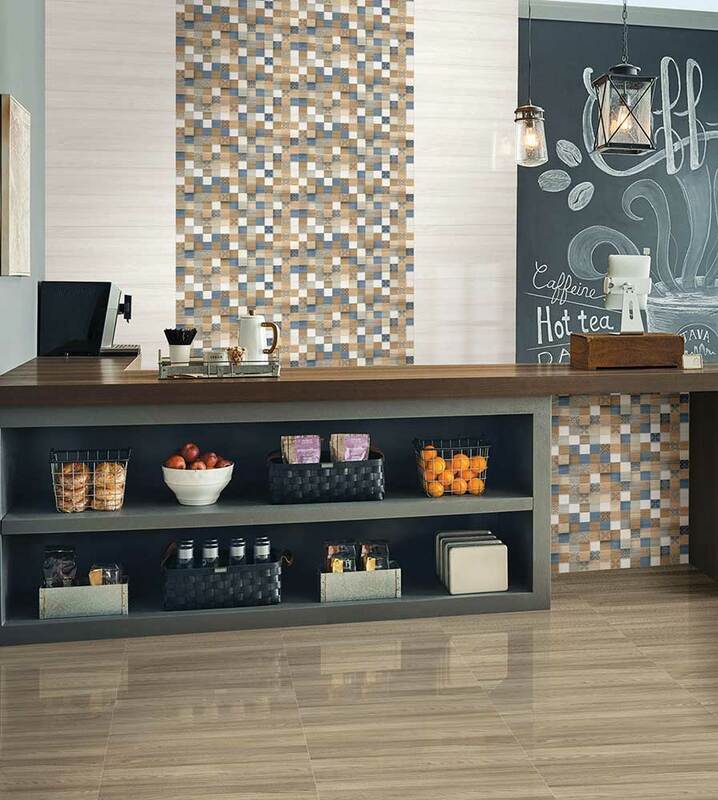 Mixed with smaller kitchen ceramic wall tiles available in various shapes, they make a wonderful backsplash and help in tying the whole room together. Subway tiles are making a comeback. They are a true testament of design and function. 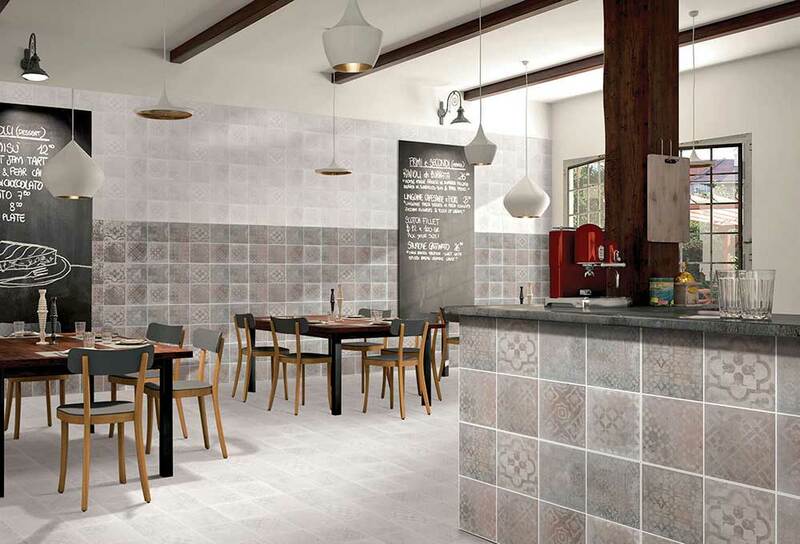 They are rectangular long tiles giving a very rustic but traditional feel. Homeowners have adorned them in the past, and still do, for their clean and classic look paired with super easy maintenance. A subway tile also helps in creating the perception of space. The traditional way has been to display the tiles between the countertop and the wall cabinet. Despite the wall cabinet being absent in certain kitchens, instinct still has been to place the kitchen ceramic wall tiles only 2 to 3 feet above the counter top. In 2018 we are expected see a change in trend as more homeowners and interior designers are opting beyond the usual height. Ceiling height back splashes help in creating an illusion of a larger space as well as creating a focal point in the kitchen. 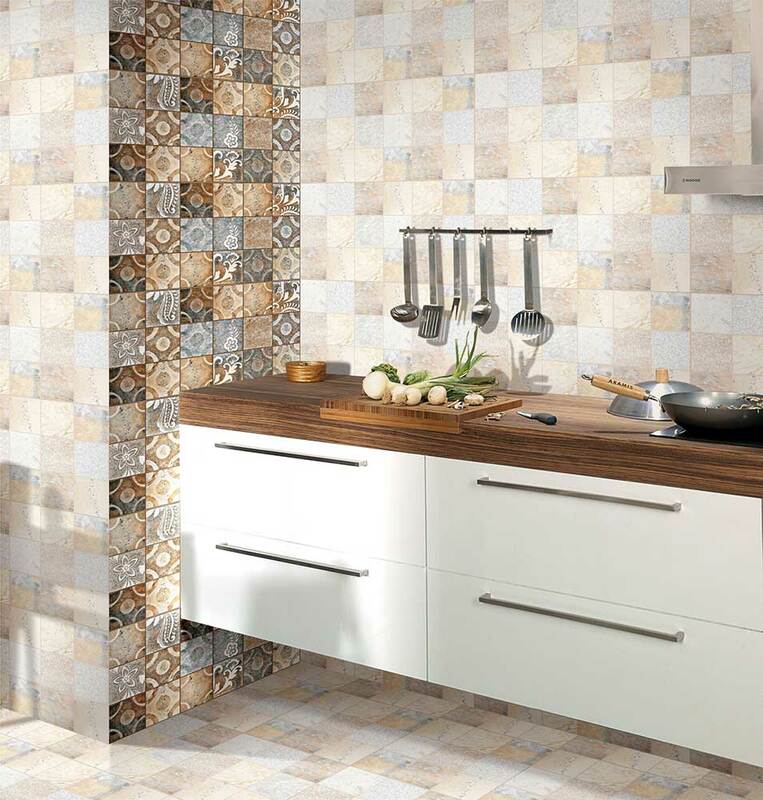 Kitchen ceramic wall tiles have been in trend for quite some time now. Most homeowners opt for them due to their long list of benefits and also to add a splash of color. In 2018, we expect to see many homeowners opt for a white ceramic wall tile as opposed to one with a bright color. A white ceramic wall tile helps to create a look that combines traditional and modern choices perfectly. Not only do they look extremely classy, they are also fire proof and easy to clean. Today, there are an endless number of options to choose from. Designers are seen recommending a backsplash with a slightly aged appearance to end up with an antique look even for a very modern house. Many are also choosing acid washed tiles for a country feel. Backsplashes have been in vogue for a long time now, but their looks and styles keep on changing. 2018 is expected to have a perfect mixture of authentic classic looks with a contemporary finish. Keep in mind these trends for a perfect 2018 kitchen remodel.